What are the top 5 critical attributes of a care worker? Home » Blog » What are the top 5 critical attributes of a Care Worker? Care workers are generally compassionate people who are caring in nature. Care assistants work to help their client group with a range of essential daily activities. However, good care includes not only the outcomes of care but also the attitude and mindset of caregivers. In order to excel in a caring profession, you are going to need certain qualities. We have collected research from specialists and studies to find the top 5 key attributes of a care worker. Rantz and colleagues (1998, 1999 introduced a multidimensional model of nursing home care quality from the views of both residents and service providers. The staff was one of the key dimensions of care quality, and the model included several components directly related to the role of nursing assistants, such as caring, compassionate, responsive attitude towards residents, positive communication with residents, individualized care, treating residents as people, following through with care, and taking care of the basics. Direct care workers in nursing homes provide most of the hands-on care that residents receive (Beck, Ortigara, Mercer, & Shue, 1999; Harmuth & Dyson, 2005).They not only provide instrumental care to residents in helping them perform activities of daily living and instrumental activities of daily living but also deal with emotional and psychological issues that residents might have during care interactions. For many residents, these workers are the only social outlet through which they can express their loneliness and needs (Grainger, Atkinson, & Coupland, 1990). Direct care workers in nursing homes are crucial in facilitating the adjustment process for new residents who are not accustomed to receiving prescribed care activities in an institutional setting (Hikoyeda & Wallace, 2001). Thus, the ratio of nursing home workers to residents has been used more widely in previous studies to examine the quality of nursing home care, and there were limited efforts to understand nursing home workers’ own conceptualizations about good nursing home care. Bowers, Esmond and Jacobson (2000) found that direct care providers considered personal relationships with resident’s key in providing more individual care while they explored the link between staffing and quality of nursing home care. A study in 2005 surveyed nursing home workers’ care construct based on the assumption that the way they cognitively process what constitutes nursing home care guides their actual care delivery processes (Anderson et al., 2005). The authors concluded that nursing assistants were successful through adopting two mental models and implemented them during care activities. Through “mental models,” nursing assistants interpreted care situations and chose the right actions based upon their reasoning. Specifically, the mental models were named “the golden rule” and “mother wit.” The “golden rule” implies that direct care workers put themselves in their residents’ shoes when making decisions on behalf of resident and “mother wit” enables them to treat clients as if they were caring for their own children. Many social care specialists support the theory that empathy is vital in taking care of others. According to Doctor Gawon Chung (PHD), nursing assistants should “try to empathize with residents by asking themselves how they would feel if they had limited physical ability and had to leave their own home and family.” She continues, “by putting themselves in the shoes of residents, nursing assistants can also win residents’ trust and acceptance into their lives. Nursing assistants get to understand why residents tend to feel depressed and sad and refuse to get attached to anyone in severe cases”. It is equally important for care workers to selectively share their own feelings with residents to open up a conversation and normalize residents’ venting of their own opinions. 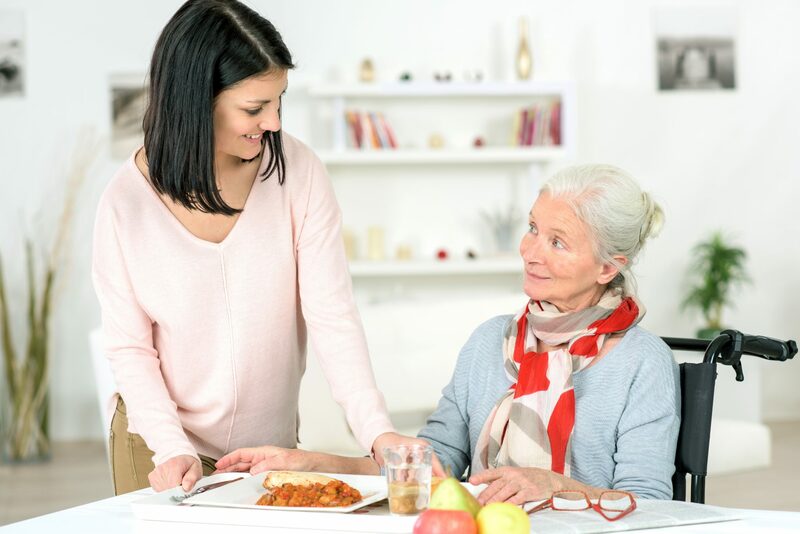 Nursing home workers should encourage their clients to feel emotionally comfortable with them because in this way residents become more receptive to care activities and make nursing assistants’ work easier and faster. And after they deliver care activities they make sure residents are physically comfortable and have no complaints. Again, making residents comfortable is done not only for residents themselves but also for the benefit of nursing assistants. They comfort the residents who are emotionally distressed, afraid, depressed, or lonely. They notice and acknowledge such feelings among some residents and comfort them by hugging them or saying that things will get better. Once they recognize a resident as an individual, they find themselves trying harder to comfort the resident emotionally. Gawon Chung claims that successful care home workers unanimously consider patience as one of the necessary attitudes to have when they interact with residents. He asserts that there are two kinds of patience: one of these involves taking enough time with each resident and the other involves enduring any psychological and emotional stresses caused by interaction with residents. To give enough time to each resident, even when they are slow in responding and following instructions, is not easy due to the tight schedule workers must follow. The number of residents who are assigned to each worker is always predetermined. 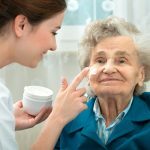 Therefore, nursing home workers sometimes have to make compromises and rush their residents in order not to fall behind schedule. As care involves establishing a relationship with the resident, nursing home workers may experience stress when dealing with clients who are not cooperative or are acting out. Successful care workers should understand that they need to be prepared to repress their own emotions that may result from clashes with residents and to keep doing what is required of them as their job. It is important to consider your clients as individuals who require their own privacy and needs. Before entering a room, for example, you should firstly knock on the door and clients know that you are entering the room. You should then start a conversation with clients, restating their name and what they are going to do step by step. You should then explain all the steps of care activities to individuals and ask their permission before beginning a care activity no matter what their mental condition. It is a way of showing respect for individuals and reducing unnecessary anxiety among residents by expressing verbally what will happen next. Conversation between nursing assistants and residents is not limited to specific care activities. Through conversation, care workers build rapport, open up the long-term relationship and smooth out their encounters with individuals in the care home. It is important to get to know individuals as people who had another life before coming to a nursing home. A positive attitude can easily make an impact on the mood of clients in your care home. A carer might be the only person an individual comes into contact with during their day, so if they are pleasant, friendly and personable this could make a real difference and demonstrate core care skills. A cheerful demeanour also puts patients at ease and helps them to feel comfortable – and this is especially important if a care worker is dealing with personal care requirements. Dr Alfaro-Lefevre states, “the profession of care and nursing entails certain specific behaviours to care and attend to patients with a positive and open approach and a “willingness” to care for people.” Willingness, in this case, refers to the choice which an individual makes to be positive and provide enthusiastic care for residents. The Nursing and Midwifery Council issued in 2002 that there should be more emphasis placed on the personal traits of nurses. The organisation states, “it’s possible to deliver care that is clinically competent, but attitude and character are just as important as competence.” Nurses should deliver a service that is “capable, safe, knowledgeable, understanding and completely focused on the needs of the people in their care”. Care workers should not respond negatively to a client. If a client becomes hostile, responding aggressively by shouting back is unlikely to defuse the situation. In conflict situations, it is sometimes a good idea to withdraw from the client temporarily. A care worker should remain calm, as this is likely to help a panicking resident to calm down. Read our blog for more information on the key qualities of a successful care home.